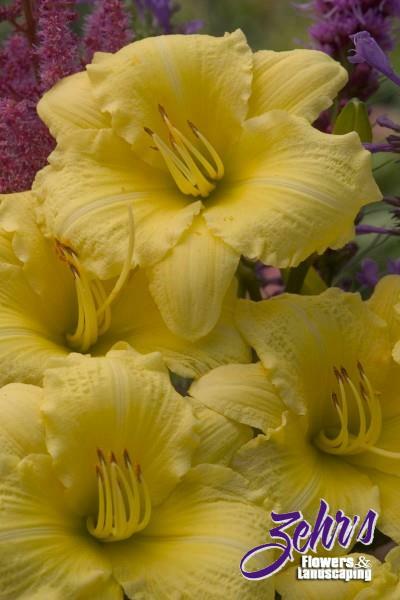 An improved 'Happy Returns' with 4" canary-yellow flowers, will bloom from early June to fall. Flowers are held on well branched stems, often 10-15 buds per scape. Hybridized by Walters Gardens, now part of the Proven Winner perennial program.